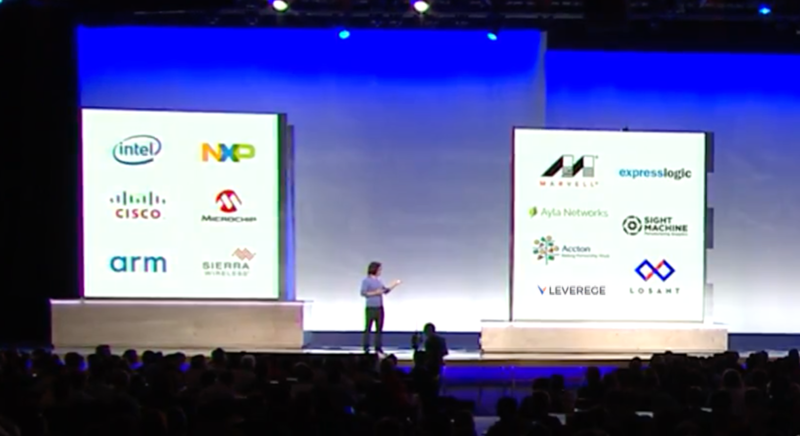 At this year’s Google Cloud Next conference, we heard about a ton of new features and initiatives, celebrated the developers who build on Google Cloud, and attended breakout sessions on smart cities, machine learning, and asset tracking where we heard about the ways in which Google Cloud Products are being used to build IoT solutions. Injong Rhee kicked off the event with a compelling keynote speech on innovative IoT applications using Cloud IoT Core, and made some exciting announcements on the company’s goals related to edge computing and machine learning. He announced Edge TPU, a tiny ASIC chip designed to run TensorFlow Lite ML models at the edge. He featured Leverege alongside other industry leaders who have partnered with Google Cloud to bring IoT solutions to life, improving humanity and making our world a better place to live. On Thursday, Leverege CEO Eric Conn and Google Cloud Product Manager Fraser Macdonald hosted a breakout session diving deep into the benefits of IoT in addressing asset tracking and transportation challenges. Check out the full breakout session above to discover how Google Cloud IoT, Google Maps, and WAN technologies such as LoRa and cellular come together to create scalable track and trace solutions. Press Kit includes our logos, team photos, and screenshots of our platform in action. Brand Guidelines includes proper and approved ways to use the Leverege brand, logo, and lingo.